Hongdae is one of the most popular neighborhoods in Korea, probably because it has such a unique feel to it compared to the rest of Seoul. Generally, Korea is a pressure packed society with a lot of social obligations and expectations. A lot of times, it’s hard for people to feel free to be who they are and to do what they want to do. Hongdae is the exception. In the land of homogeneity, Hongdae is Korea’s bastion of subculture, indie culture and street culture. Hongdae represents everything ranging from slightly to extremely askew from main stream. It’s the type of place where people who wear suits to work on Thursdays live out their dreams of being a rock star on Fridays. And that’s a huge part of Hongdae's charm. Maybe the reason it feels so free is the area’s namesake, Hongdae, comes from Hongik University, the South Korea's most prestigious art school. And just like artists in any country, the people in Hongdae are just different than your average person. Combine youth with art, and you get a unique culture that’s exciting and freeing. And that's the backbone behind Hongdae. Come here for exciting nights, great design and tons of things to do. 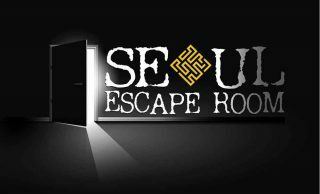 Note: Please help keep Seoulistic up to date. If you notice outdated content, please e-mail us to let us know. Thank you! The easiest way to get to Hongdae from Incheon International Airport (or even Gimpo Airport) is by the Airport Express Train (AREX). It stops at Hongik University Station, which has transfers to Line 2 and the Gyeonui Jungang Line. The very comportable airport limousine Bus stop right at the station as well. SubwayTake the AREX to the Hongik University Station. Exit 9 : leads to the heart of the Hongdae area. Make a left outside the exit and follow the crowds to the shops, restaurants, bars, clubs, etc. On weekend nights, this area will be filled with street music. Exit 8 : leads to the heart of the Hongdae area. Make a right outside the exit and follow the crowds to the shops, restaurants, bars, clubs, etc. This area leads to many restaurants, cafes and bars. Exit 1 :leads to Donggyo-dong, a quiet sub-neighborhood of Hongdae where many locals live. It has many guesthouses, small shops and restaurants. Exit 3 :leads to Yeonnam-dong, a quaint and lovable sub-neighborhood of Hongdae with windy back streets filled with hip cafes, stores and restaurants. Exit 3&4: lead to the heart of the Hongdae area. The streets are windy, and you’ll pass tons of small, cute shops tucked away in back streets. Warning, it’s easy to get lost here. Exit 5&6: Hapjeong Cafe Street - lead to the backend of the Hongdae area, which has its own famed cafe street. Exit 9&10: lead to the Mecentapolis Complex, which has a movie theater, chain restaurants and a large supermarket (Home Plus). 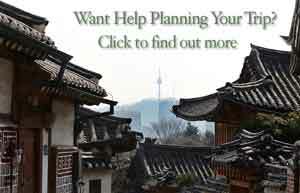 It also leads to Mangwon-dong, an up-and-coming neighborhood that is very explorable. Exit 1&2: lead to the heart of the Hongdae area. There are many back streets to explore, and you’ll pass tons of small, cute shops tucked away. Warning, it’s easy to get lost here. 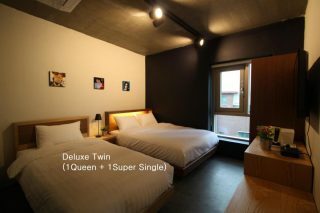 Nabi Hostel is one of the newest hotels in Hongdae, newly built in 2016, so all the facilities are sleek. It’s a 1 minute walk to Hongik University subway station (Line 2, Airport Express), so you won’t have to worry about carrying your luggage far. 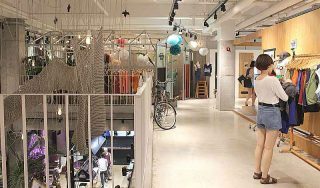 It’s walkable to the main Hongdae area, which is just across the street, and it’s also very walkable to the hip and trendy neighborhood Yeonnam-dong. 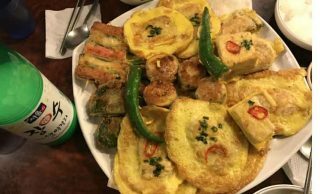 Jeon is any variety of food that is covered with flour and egg wash and then panfried (i.e. peppers, tofu, kimchi, meat patties, etc. ), and makgeolli is a a fizzy white rice wine that has a milky taste. And these two, jeon & makgeolli, are a favorite pairing for real old school Korean flavors. 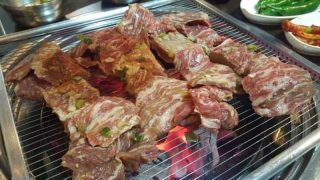 And Chamsae Bangatgan has been a local Hongdae favorite for over a decade. Walk past outside and you’ll hear the sizzling of the pans and watch the aunties fry up the goodies right outside the store. Go inside, and you’ll get an authentic experience at an authentic Korean university town establishment. Many a hazy memories were made from the college drinking games that go on here. Of course, the food is pretty darn good too. 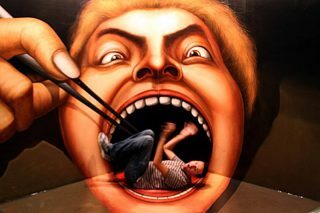 OU is not a normal Korean restaurant. Most Korean restaurants have a menu that they perfect and then make every single day. OU, on the other hand, is dedicated to the culinary arts. They specialize in simple Korean-style home food and even serve soups you normally can’t order in restaurants — like 미역국 (miyeokguk), a simple bowl of seaweed soup. Actually, you still can’t order soup since they pair it specifically with a main course, which changes every two days. The people behind OU are true chefs, the cooking is intentionally unique, and the combinations are well-thought out. Each element has purpose, and they pair everything together perfectly like a completed puzzle. OU truly is a hidden gem as it’s a residential neighborhood a bit away from the main Hongdae area. 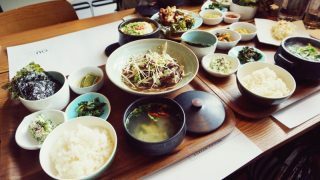 But it’s well worth the trip for a unique and flavorful experience in a beautifully modern Korean restaurant. Hongdae is where all the Korean youth gather, and you’ll find a youthful vibrance and energy in all the things to do in Hongdae. More specifically, it's famous for design, nightlife, activities, shopping, drinking, cafes, and eats. Hongdae is a big area, and there are a plethora of things to do. But don't worry! This Hongdae travel guide will show you what to do in Hongdae. True to the area’s namesake, Hongdae attracts creative types of all kinds. There are a lot of vintage shops, indie music venues, street performances, unique product design shops. Oddly enough, most art galleries are found outside of the area (click here for a list of galleries in Seoul). The most popular of their many venues is their 1st and 2nd floor product design showroom. They showcase new designers every few weeks to compliment their classic collection of unique products. They have makgeolli cups that show a waning moon as you drink and umbrellas with beverage holders that allow for free hands. Even if you're not planning on buying, it's a fun thing to do in Hongdae to just browse the unique products. It's also a great gift shops as well. Hongdae attracts a lot of young people, so much of the shopping in Hongdae is for newer, trendier fashions that are affordable. 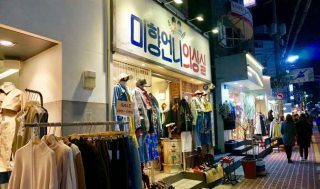 Here’s a few of the most popular shops in Hongdae as well as a few streets to go shopping in Hongdae. When walking up from Hongik University Station, exit 9 to the main Hongdae Area, most people will pass through this street. Because cars used to park in the middle, it was called Parking Alley, but now the name has just stuck without the parked cars. The shops in this area have standard items at very affordable prices. 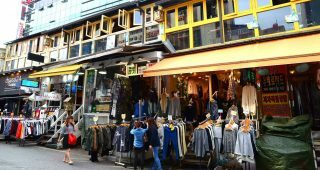 This Hongdae shopping street is also filled with boutique shops that have edgier fashions, such as bold t-shirt prints with loud statements and hats that require a certain level of confidence. Many of the shops stay open until midnight on weekends for those who need an extra sweater on the way to the club. 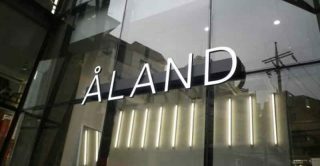 Aland is a multi-brand shop that curates fashion and accessories for both men and women from the best Korean fashion brands as well as vintage shops. 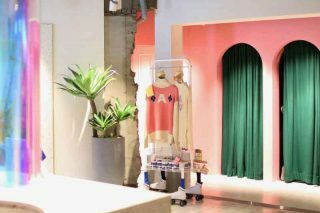 If you want what’s hot in Korea, Aland is the the place to shop as they focus on younger and edgier fashion. They have several floors and racks upon racks of the newest designs. Aland has many locations throughout Korea, and they have two locations in Hongdae. Ader Error is a unique shop in Hongdae that’s part concept showroom, part gallery, and part fashion brand. One of the best reasons to visit this popular Hongdae shop is the space itself, which has nooks and crannies of art that will make for pretty impromptu photoshoots with friends. The brand itself has become one of the more popular Korean fashion brands found in Hongdae. The Kakao Friends Flagship Store in Hongdae is home to the cute characters of Korea’s #1 messaging app. Ryan, Frodo, Apeach and the rest of the gang are available to take home on pencils, phone cases, pillows and anything else. The Kakao Friends Store in Hongdae has exclusive Kakao items as well as a Kakao Friends concept museum. Here you’ll see the creation process for the characters and get to fanboy/girl over them. The entry fee comes with a discount coupon for the ticket price, so you’ll get to see if for free if you’re buying something anyway. While there are other smaller Kakao Friends stores located throughout Seoul, the Kakao Friends Flagship Store in Gangnam is the other flagship store in Seoul. Are you’re a Line user with love for Brown and Cony? The Line Store in Hongdae has all your favorite characters in doll, mug and pencil case format. Of course, you’ll get a very instagrammable picture with all your favorite characters in as well. Although it’s a bit smaller than the other Flagship stores located in other areas of Seoul, the Line Friends Store in Hongdae is great for convenience if you’re staying in the area. They even have a cafe upstairs where you can relax after all your shopping. Note: This is a smaller Line Friends Store. There are locations for three more Line Friends Flagship Stores in Seoul. 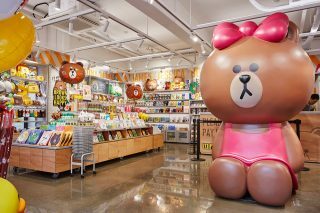 Click for link and location: Line Store in Itaewon, Line Store in Garosugil, Line Store in Hongdae. Unfortunately, you can’t get complex citrusy flavors, high-end service or beautiful interiors at a raccoon cafe. 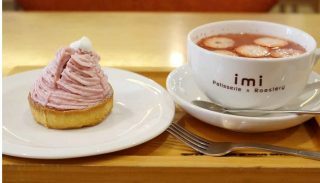 So if you’re want a true coffee experience, check out these best cafes in Hongdae. 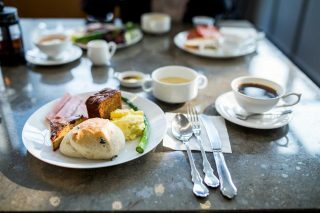 The Best Service & Facilities Large, spacious and bright, this local’s favorite cafe has huge floor to ceiling windows and an intercontinental breakfast buffet that’ll rival any hotel in the area. 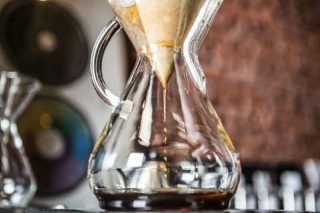 They roast their own coffee in-house, and to promote their blends and offer a pleasant experience, they offer customers a free cup of drip coffee after you’ve finished your original order. It’s one of the best cafes in Hongdae in regards to overall quality (coffee, service and facilities). Come to this famous Hongdae cafe for breakfast if you’re in the area. But if you can’t, they have excellent coffee and non-coffee drinks as well as delicious cakes and sandwiches for a relaxing afternoon. Champion-level Coffee 5 Brewing is run by a respected barista champion who specializes in making awesome espresso and brewed coffee. Of course, like any good barista would, they’ll roast their coffee beans in house. This is a cafe that stays true to the coffee tradition and doesn’t create sugary monstrosities for the uninitiated. If you’re a coffee snob, you’ll know why many coffee experts consider 5 Brewing Coffee one of the best cafes in Hongdae, and maybe even Seoul. If you’re a brewed coffee aficionado, go for in house brews for all the complex flavors that they bring out with their expertise. Note: 5 Brewing Coffee has opened a sister cafe in Hannamdong, 5extracts. Hongdae is one of the few places in Seoul you'll see free-spirited buskers take to the streets to live out their dreams of becoming rock stars. Indie bands also have their own spots where they have weekly gigs to play their version of street music in Hongdae (i.e. ska, punk, rock, jazz and hip-hop). But it's not just street music. If you want to rock out while having a beer, there's plenty of intimate underground clubs in Hongdae that has the music you'll love. Hongdae is one of the few places in Seoul where a middle age businessman can come straight from work in a suit, set up his mic and amp, and start busting some rhymes as his alternate personality as Rap God. Some performers have dreams of making it big and of going on world tour. But a lot of the performers just do it for kicks. They’re students or have day jobs, and they just want to have some fun and let their inner artist out by playing some street music in Hongdae with people that want to enjoy their music. These are free birds putting souls on display, which is why listening to street music in Hongdae is one of the best things to do in Seoul. Here you’ll find comedy troupes, rap battles, kpop dancers, ballad singers, punk groups. You can find performances any day of the night, but weekend nights will have the most. Friday, Saturday and Sunday from 6PM to 9PM will be the busiest and will draw the largest crowds. But remember to be mindful of the weather; cold days and rainy days will have few performances. Some street music in Hongdae make their name on the streets and eventually graduate to playing in indie venues. 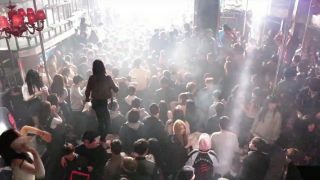 If you want to experience what Hongdae really is about, you must check out the music scene. The indie music scene in Hongdae is the lifeblood of of the area. It’s what makes this place feel so alive and a definite must do in Hongdae. The following are indie music venues in Hongdae that don't need any reservations. Just show up and enjoy! 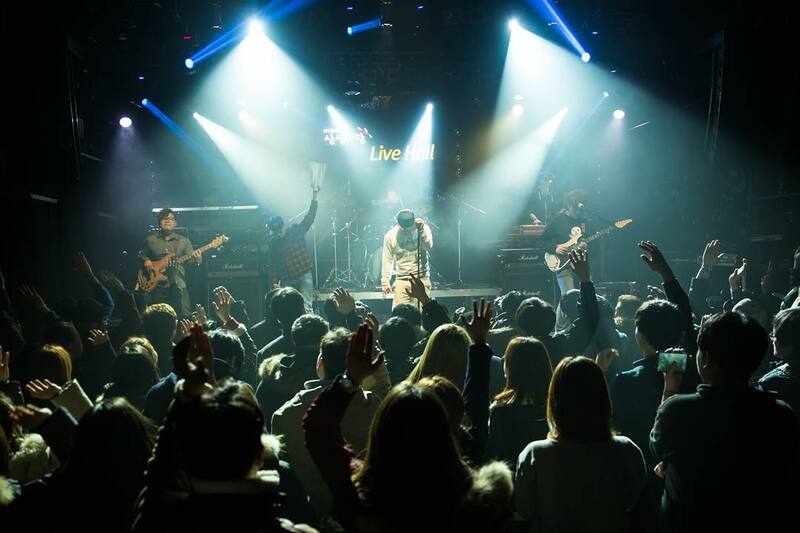 One of the best ways to experience all the live performances Hongdae has to offer is go on Live Club Day. You get a bracelet to go into 10 venues that hold live performances of all different types. In a single night you can party with a reggae and ska band at Club Free Bird, step into Club FF to hear a two-man Beatles cover band kill “Come Together,” then hop on over to Club Evans for a night cap with some urban trip-hop beats. Venue doors open at 7PM. Check their Facebook for the next club day. If you're wondering what to do in Hongdae, you'll be amazed at the number of activities. There are tons of fun museums, games and things to do that you probably won't have them all. Instead of listing 100 different things, here's a few of the more popular attractions in Hongdae. 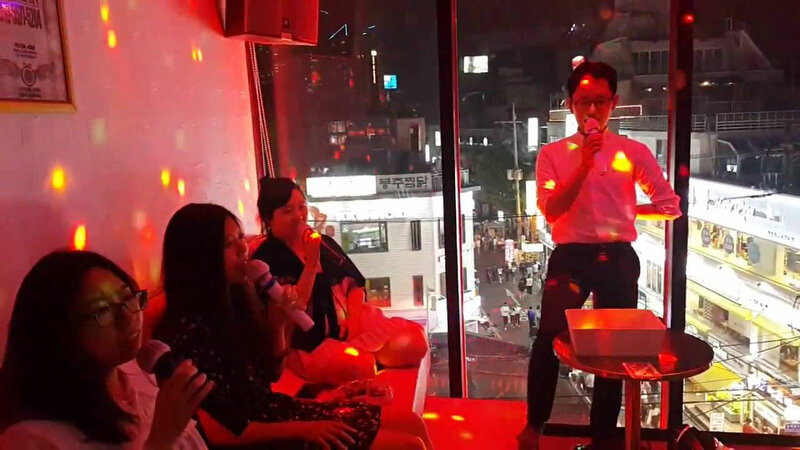 Luxury Noraebang (aka karaoke) is a unique noraebang experience in that you’ll let all of Hongdae watch you belt out some Mariah Carey in large, floor to ceiling windowed rooms (don’t worry, they can’t hear you). It’s a fun and unique experience with ladders that lead to a loft, wacky props to sing and dance with and bright flashy lights for your own personal disco. If you’re not comfortable with voyeuristic singing, they have regular private rooms for your group. 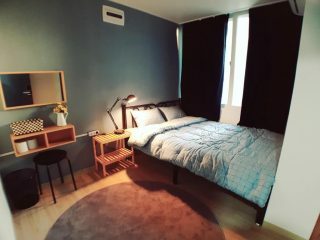 If you’re flying solo or want a more private experience, you can also try out their solo or two-person noraebang rooms, which is directly across the street as well as around the corner. * Coin Noraebang is available by the number of songs. * The main store is located in Hongdae with many branches around Seoul. A lot of cafes in Hongdae aren't just for lattes and cappuccinos. Instead, they're actually part of the "fun things to do in Hongdae" section. But we'll group theme together here since you get a drink with them as well. 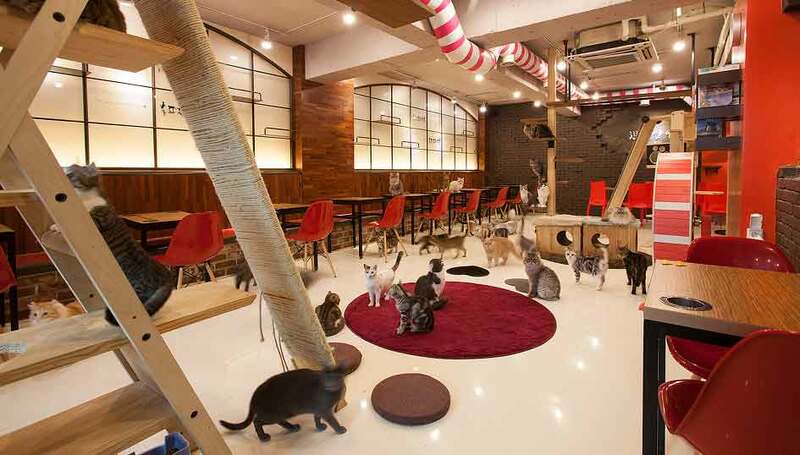 Here you'll find dog cafes and cat cafes, which are common. But there are also other unique pets as well. These cafes in Hongdae are more about hanging out, than it is about the coffee. Come here for the good times. Many young Koreans want pets but can’t get them because their parents are against it. So that gave rise to dog cafes and cat cafes. The dog cafes and cat cafes in Hongdae are numerous, and they're all tons of fun. But Korea doesn't just stop with traditional pets; there are also more unique pets. Hongdae is home to raccoon cafes, sheep cafes, and tortoise and sugar gliders cafes and even meerkat cafes (with an arctic fox, genet and raccoon). If you're wondering what to do, these unique pets cafes in Hongdae are a great way to spend the day. 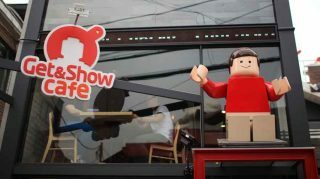 Get & Show allows us to relive our favorite childhood memories of sitting around a pile of legos building creations limited by our own imaginations. This lego cafe in Hongdae is great because you don’t have to make a huge investment to buy the legos. Instead, you pay an hourly fee to build whatever your mind’s eye sees. But most likely, you’ll pick a specific lego set with directions on how to make it look like the picture on the box. It’s a fun day of building legos, chatting it up with your friends and drinking some coffee. This Hongdae lego cafe even has snacks that are shaped like legos as well to complete your lego filled day. Tip: You get a discount if you dismantle your lego yourself. There are so many young people, usually hanging out late at night that naturally, there are going to be tons of bars in Hongdae. And the Hongdae bars have so much variety. From Korean-style tent bars to hidden speakeasies, the bars in Hongdae are some of the best in Seoul. 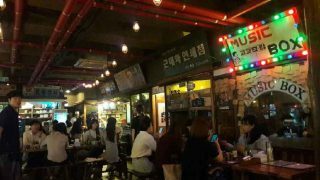 (나비도 꽃이였다) This laid-back hookah bar in Hongdae is the epitome of Hongdae cool. Only until recently did a painted butterfly on the door serve as their only sign. And while they have a few signs now, it’s still a true Hongdae local’s hangout. 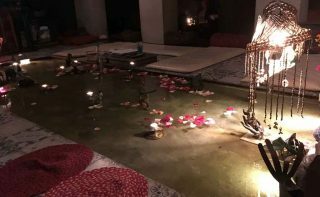 The space is very intimate with dark lights and floor seating, making every awkward first date instantly comfortable. This instant intimacy and comfort is the reason this is one of the best bars in Hongae. 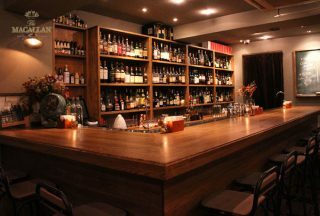 This hidden speakeasy bar in Hongdae would have made prohibition American gangsters proud. The interior is beautifully lit and purposefully designed, and they play low key jazz music that’ll make bring you back to the roaring 20’s. Their highly trained mixologists, clad in pinstripe pants and overalls, will serve unique cocktails for all flavors. Be careful not to walk past, as there aren’t any signs for this bar. This famous Korean-style (pocha) bar in Hongdae became so popular that it exploded all over the country and is now a major chain. But the one in Hongdae is where it all happened. This is a classic Korean-style bar that serves Korean bar food with killer soju bombs. It’s where all the local Korean students will go for a roaring good time. The bar itself calls itself a “hunting” bar, which is the Korean version of a singles bar. It’s where groups of guys will approach groups of girls to ask to have drinks together, usually involving lots of fun Korean drinking games. No worries if you’re going with hubby or wifey though. It’s still tons of fun. Tip1: Come here on weekend nights, and expect to wait upwards to an hour. Tip2: The clientele is generally university students and those recently graduated from university. Note: There are many locations throughout the city, but one of the more popular ones is the Samgeori Pocha at Gangnam Station. The clubs in Hongdae are located so close to each other that it's a great place to go clubbing in Seoul if you want to club hop. 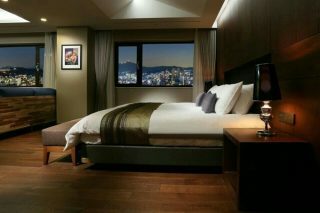 You can start off at one of the Hongdae bars above, and then move onto to one of Hongdae's famous hiphop clubs. If you're not feeling it, you can walk over to some of the larger EDM clubs too. There are so many clubs in Hongdae that you can party until the sun rises or you pass out, whichever happens first. Note: Clubbing in Hongdae is generally cheaper than the rest of Seoul. The people going clubbing in Hongdae also tend to be younger (early 20's). 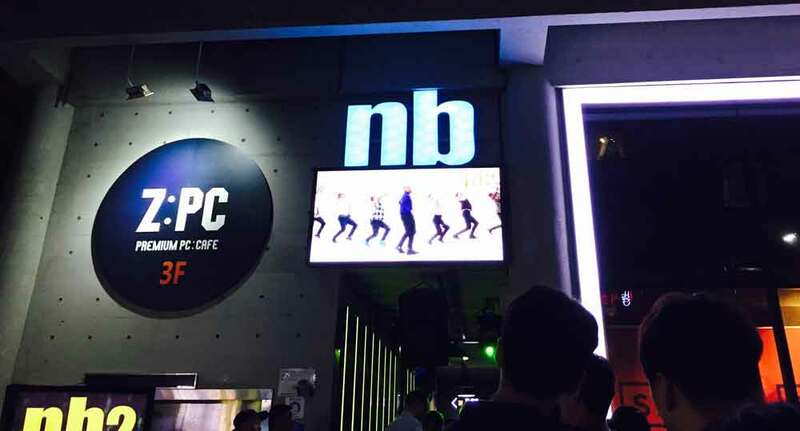 Club NB was the first club in Hongdae and is a legend in the Korea clubbing scene. Playing mostly hip-hop, with a few dabs of electronic music dashed in, Club NB is one of the few clubs in Seoul that will always be packed, even on a Tuesday night. Actually, it's one of the few clubs in Seoul that are open on weekday nights, which also probably happens to be the best times to go. This famous Hongdae club gets so crowded on weekends that it can be hard to move around. 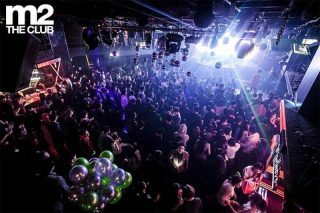 M2 is another legendary club in Hongdae. When hip hop was big, M2 stuck to trance and is now primarily an EDM club. It’s one of the bigger clubs in Hongdae, with 2nd floor seating and tables in the back. And just like the other legendary clubs in Hongdae, you’ll most likely have to wait in line to get in on the weekends. Come here for more space, a bigger stage and wild nights.